Have everyone racing to your upcoming event! 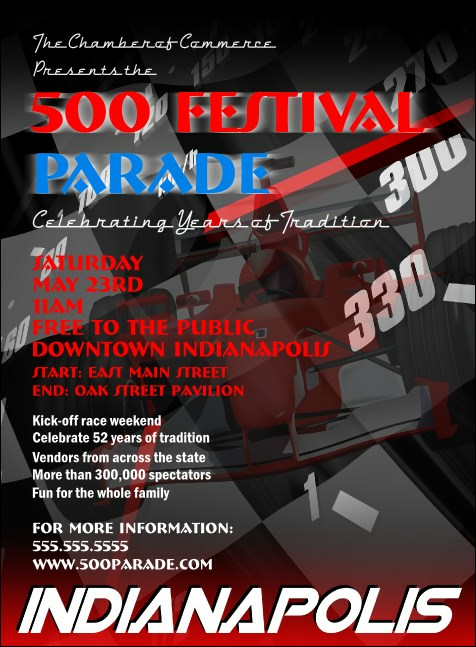 Designed to grab your guests attention, the Indianapolis Invitation features a speedometer with a race car in the background and room for a custom image upload. Invitations are a great way to increase interest in your local event! Process your order at record speed through TicketPrinting.com.